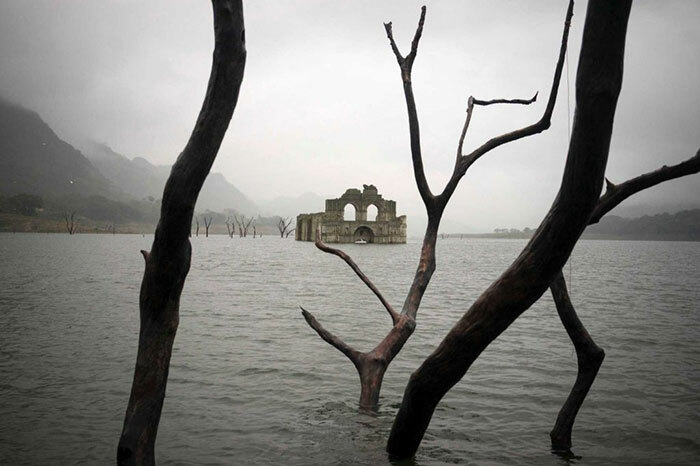 Eerily beautiful photos by photographer David von Blohn of a mid-16th century church emerging from a reservoir surrounded by forest and mountains in the southern Mexico state of Chiapas. 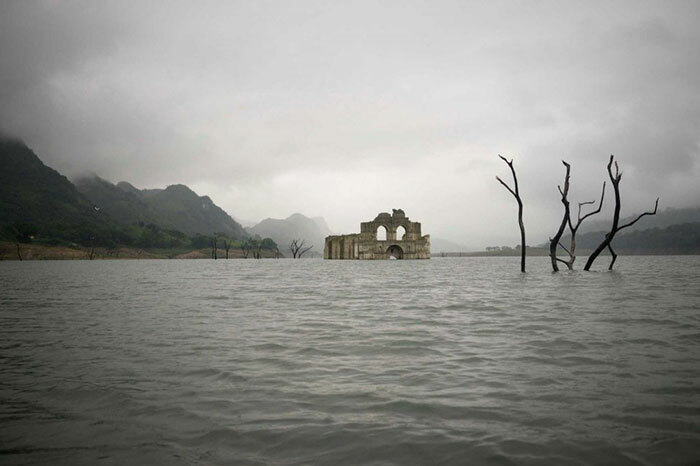 Due to a drought that hit the watershed of the Grijalva river this year, the water level in the Nezahualcoyotl reservoir dropped by 82 feet revealing the long-buried church only for the second time since it was flooded in 1966 when a dam was built. 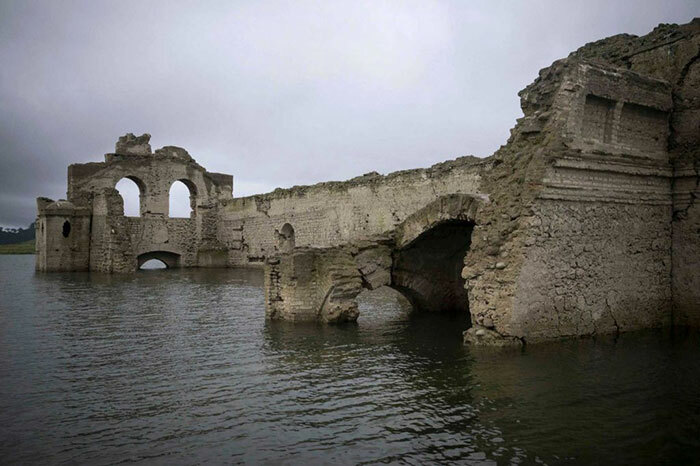 The colonial-era church, known as the Temple of Santiago, measures 183 feet long and 42 feet wide with a bell tower reaching 48 feet above the ground. 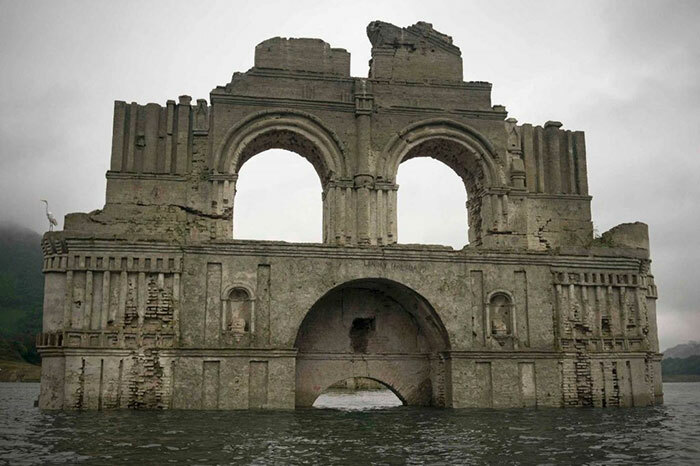 The church was built by a group of monks headed by Friar Bartolome de la Casas, who arrived in the region inhabited by the Zoque people in the mid-16th century. 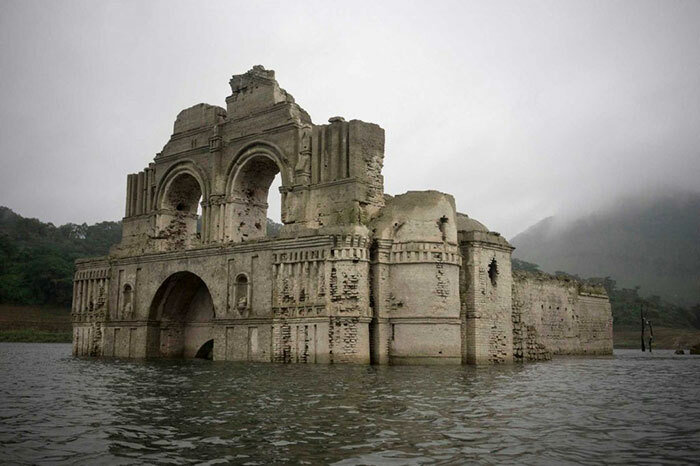 Architect Carlos Navarete, who worked with Mexican authorities on a report about the structure, said that the church was built on the thinking that it could be a great population center but it never achieved that and was abandoned due to the big plagues of 1773–1776. 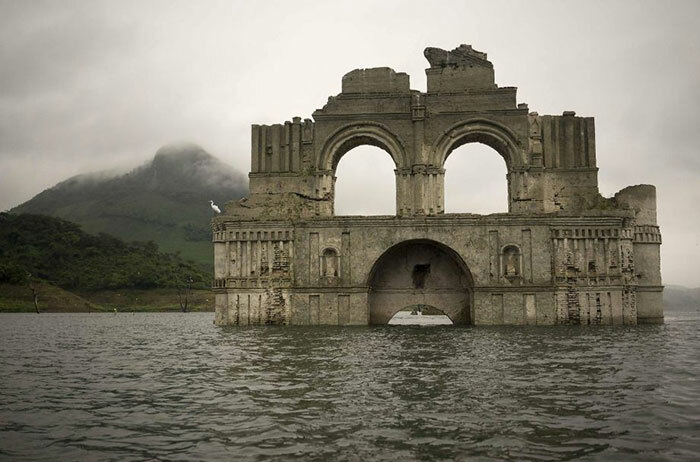 Eerily beautiful photos by photographer David von Blohn of a mid-16th century church emerging from a reservoir surrounded by forest and mountains in the southern Mexico state of Chiapas.